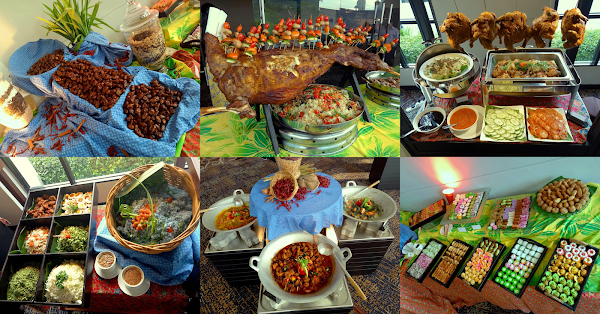 This evening, Vistana Penang Bukit Jambul hosts a preview session of the upcoming Ramadan buffet dinner. 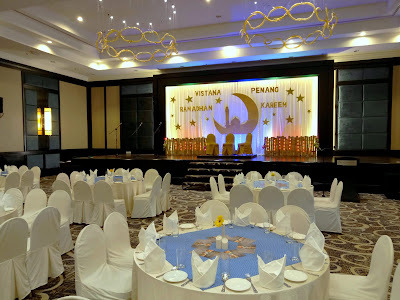 Like previous years, the meal's theme is "101 Resipi Penuh Tradisi Tok Wan". The menu covers over a hundred dishes including crowd favorites from previous years. 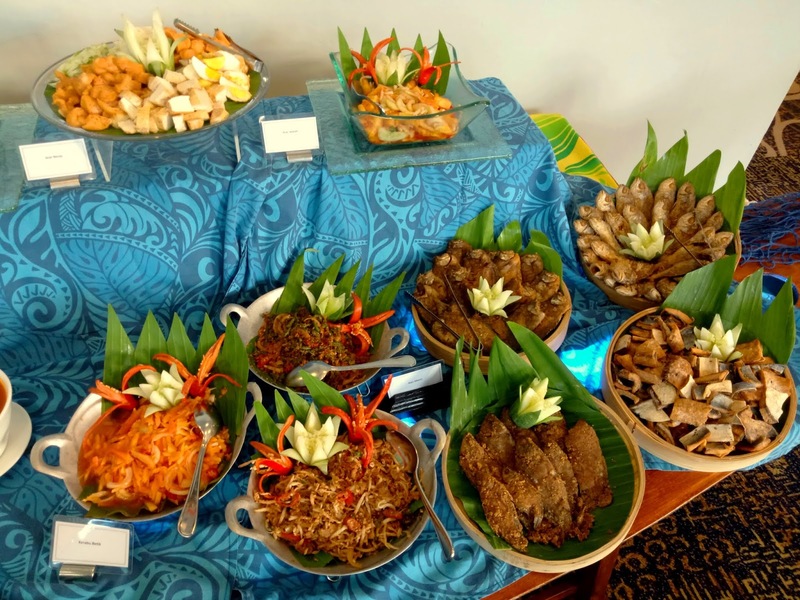 The dining section is situated at the Grand Ballroom, while food is served at the foyer. 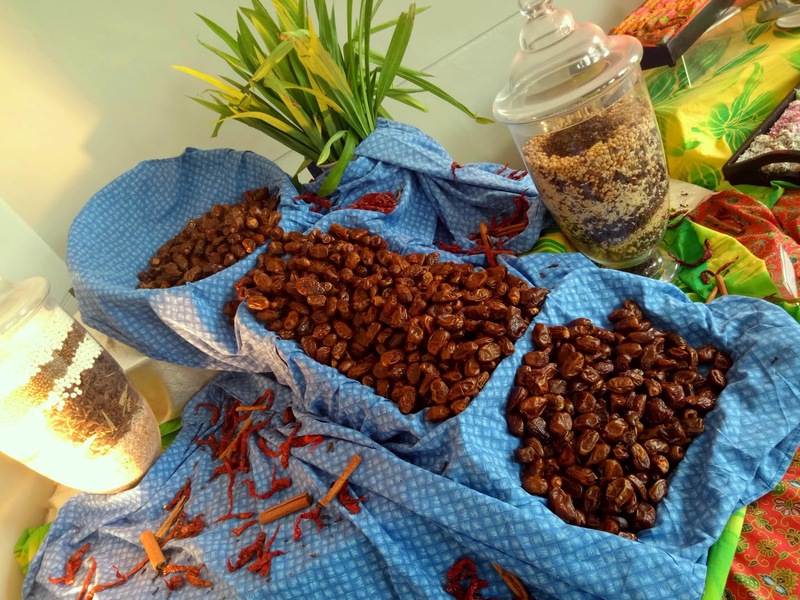 It is customary for Muslims to break fast by taking several pieces of kurma (palm dates) before the actual meal. The sweet taste of the fruit helps to stimulate the palate after a long day without food. 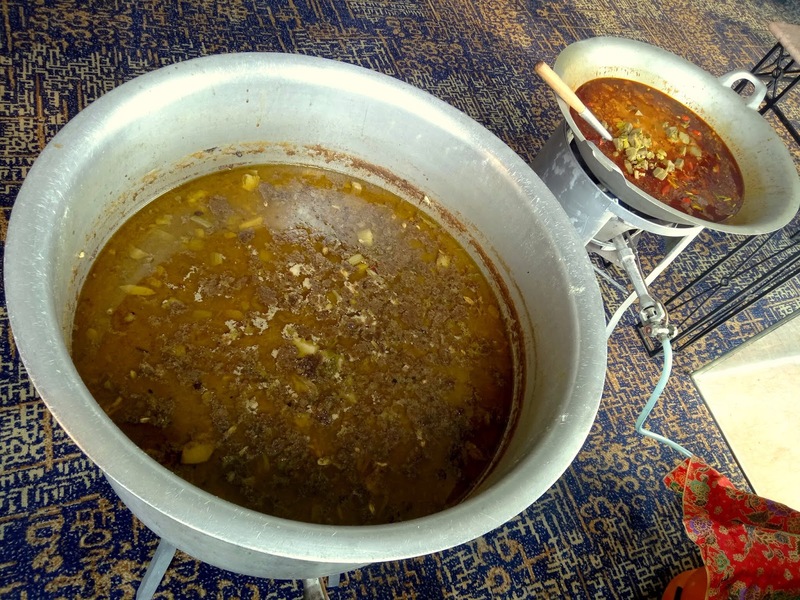 Bubur Lambuk also essential during iftar meals. The thick rice porridge is nicely flavored with chicken and spices. Other ingredients include fried anchovies, fried shallots, chopped scallions, white pepper and soy sauce. Kambing Panggang is the main highlight this evening. The mutton is marinated for an entire day to ensure that it is thoroughly flavorful. 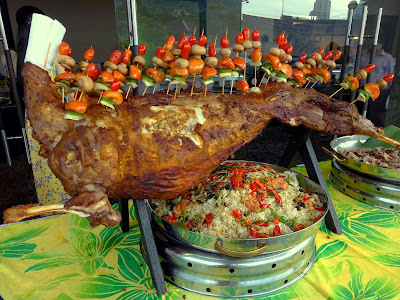 The goat is suspended on a spit and roasted over burning charcoal, imparting a touch of toastiness in the process. The mutton goes well with nasi briyani and mint sauce. 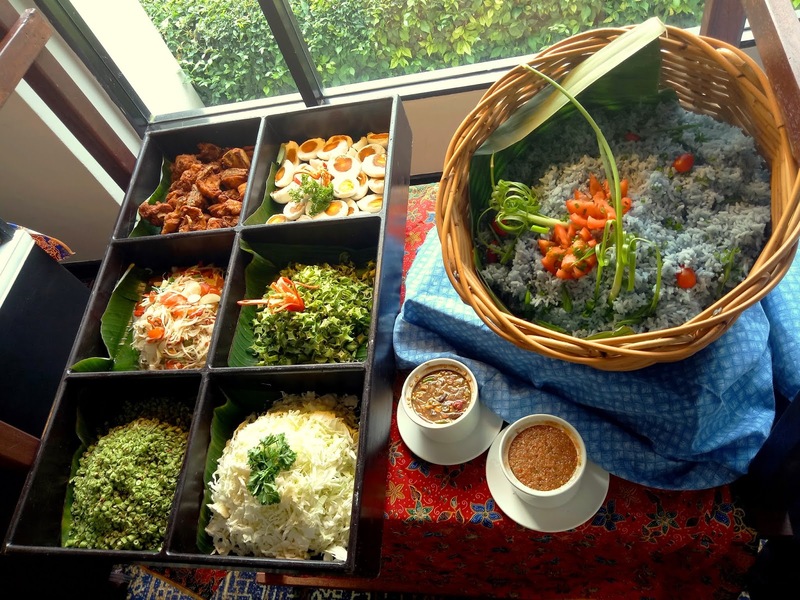 Nasi Kerabu hails from the East Coast of Peninsular Malaysia such as Kelantan and Terengganu. Rice grains are dyed blue using the extract of bunga telang (butterfly-pea flowers). Nasi Kerabu is typically mixed with ikan masin (salted fish), telur masin (salted egg), kacang botol (winged beans) and cili padi (bird's eye chili) according to personal preference. 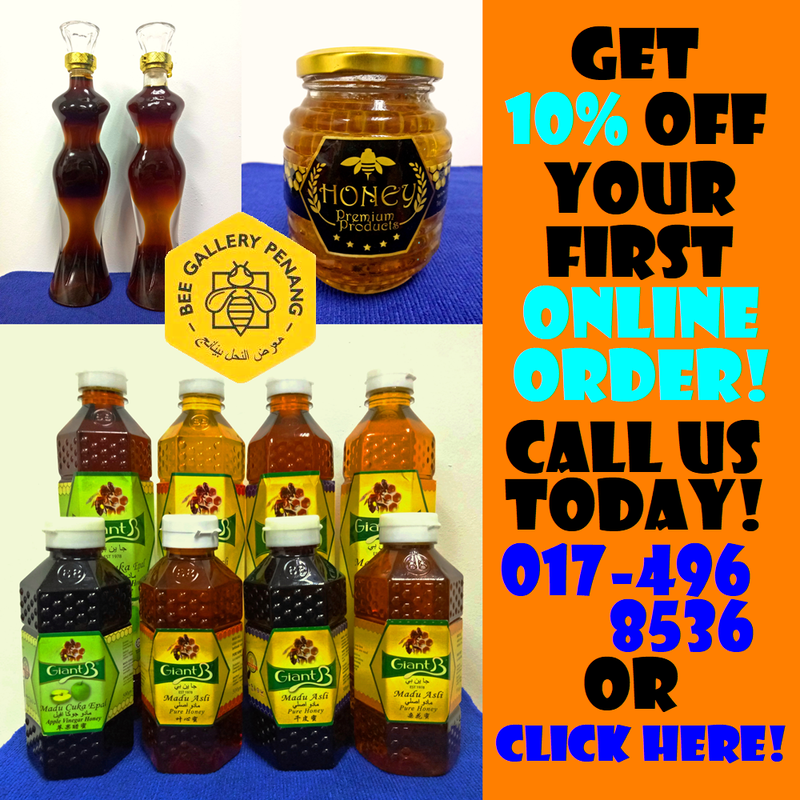 Sambal belacan (spicy shrimp paste) and air asam (tamarind sauce) are also provided for extra flavor. A variety of kerabu (Malay salad) are prepared this evening. 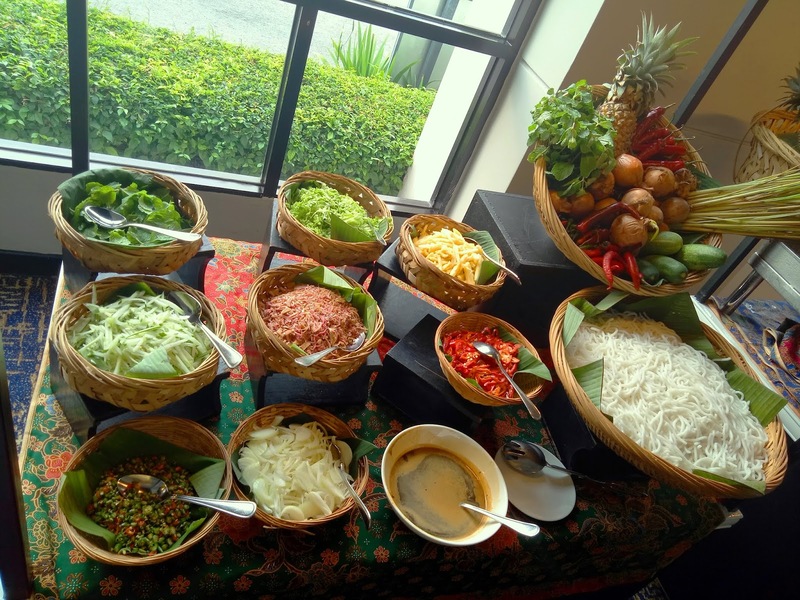 Notable ones are Kerabu Pucuk Paku (vegetable fern salad), Kerabu Taugeh (bean sprout salad) and Kerabu Betik (papaya salad). 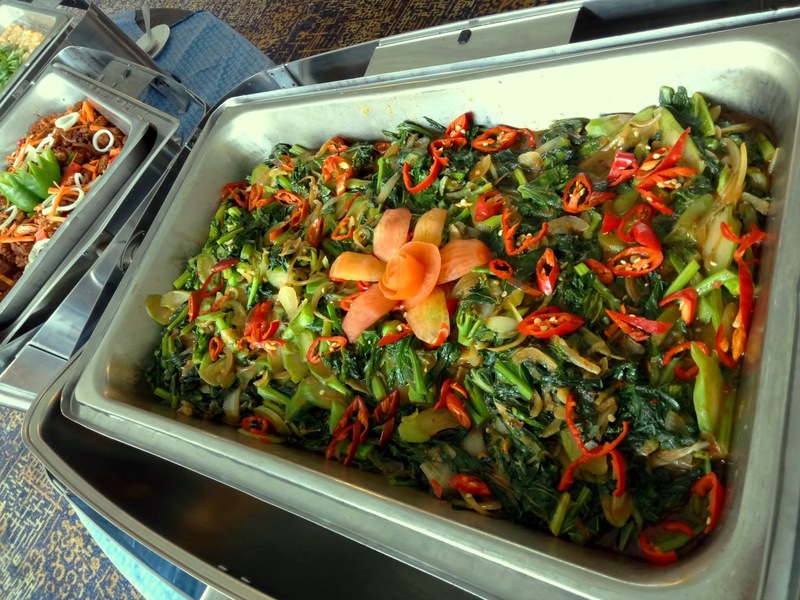 In addition, there are also a variety of ulam-ulaman (raw vegetables), salted fish and acar (pickled salads). 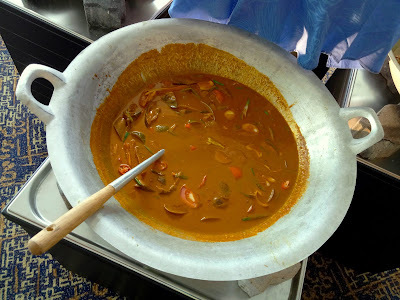 Several cooked dishes are served in large woks called "kawah". These dishes are Ayam Masak Merah, Patin Tempoyak and Asin-Asin Labu Masak Lemak. Meanwhile, Gulai Masak Talang Masin is a curry dish which contains salted queenfish, tomatoes, chili peppers and curry leaves. Kawah is particularly common in the countryside where food is often cooked in a communal setting. 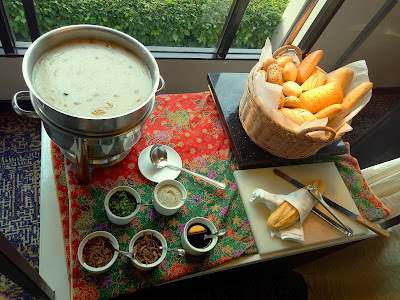 As for soups, Sup Kambing is quite popular as its saltiness helps to build appetite. Although the soup contains chunks of mutton, I prefer to avoid them as they are rather fatty. Another notable red meat dish is Daging Gulai (beef goulash). Vistana's Ayam Panggang Percik is unlike what I have tasted so far. The grilled chicken is dressed in Kelantan-style white sauce. I suggest that you try this unique poultry dish for yourself. The Ikan Bakar Air Asam strikes a chord with my palate. 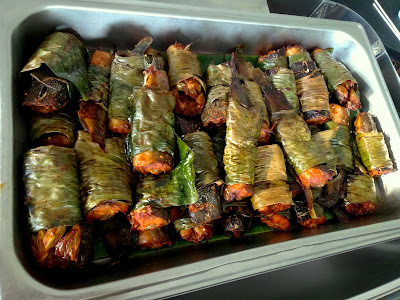 Using ikan keli (catfish), the fish is seasoned with tamarind sauce and roasted over fire. The fish's tender texture is heavenly indeed. Watch out for small bones though! 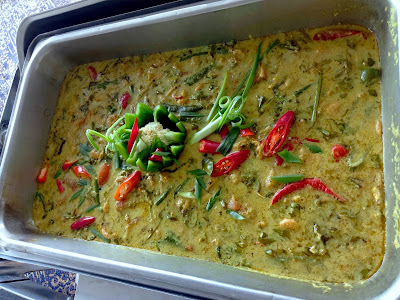 For shrimp lovers, Pucuk Paku Masak Lemak Dengan Udang is an interesting choice. 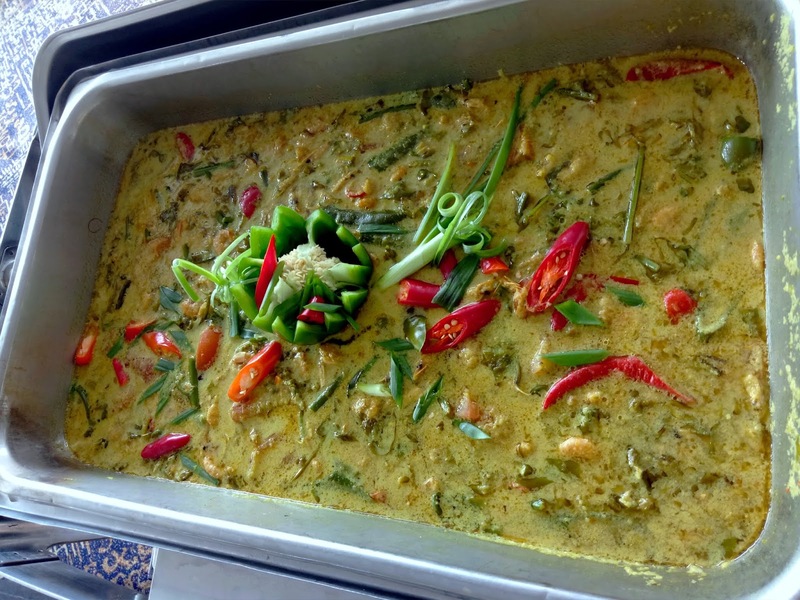 Besides prawns, the creamy gravy also contains a type of vegetable fern called pucuk paku. The leaves of pucuk paku are soft and silky. 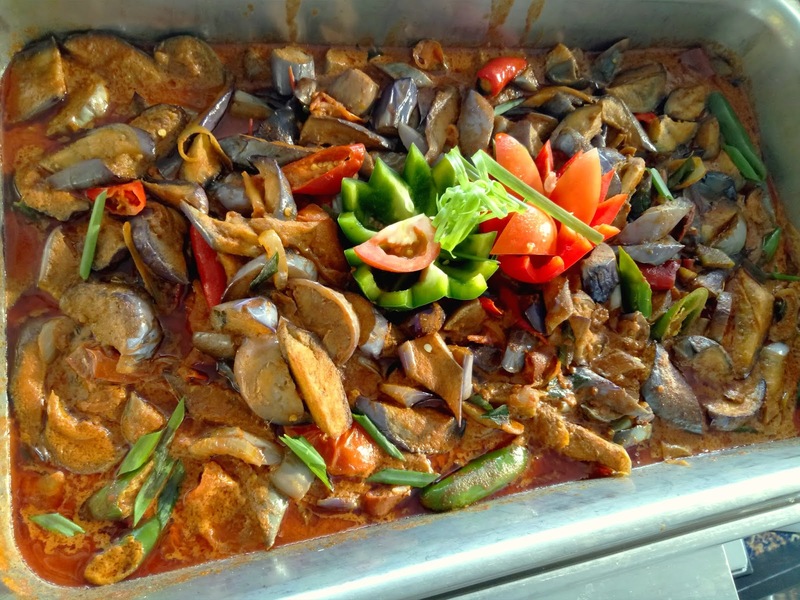 Pajeri Terung Ala Kampung is an eggplant (brinjal) curry stew that goes pretty well with rice. I love the subtle sweetness of the fruit. 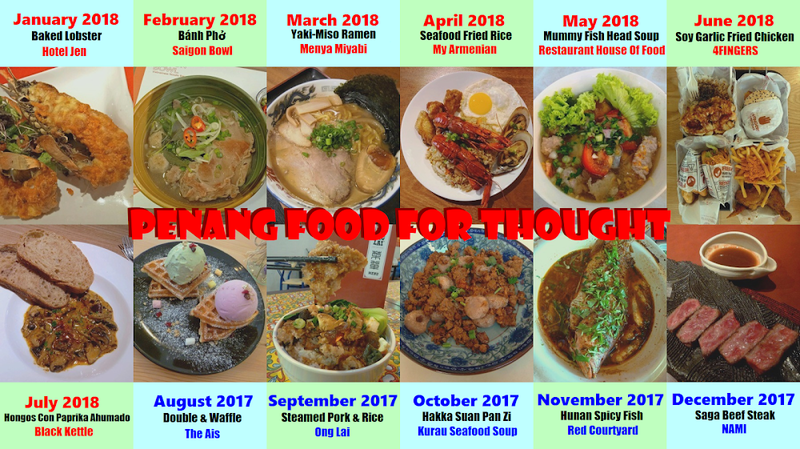 Other not-so-meaty dishes include Kailan Goreng Belacan (fried Chinese kale with chili paste), Siew Pak Choy Dengan Kulit Tauhu & Sos Cendawan Enoki (bok choy with tofu skin & enoki mushroom sauce) and Tauhu Dengan Sos Telur (Japanese tofu with egg sauce). Do not overlook Vistana Penang's Asam Laksa as it is an award-winning recipe. The broth is prepared from sardine and contains a good balance between sweet, sour and spicy flavors. Asam Laksa is typically eaten with thick rice vermicelli, pineapples, cucumber, bunga kantan (torch ginger), onions, lettuce, mint leaves and shrimp paste. 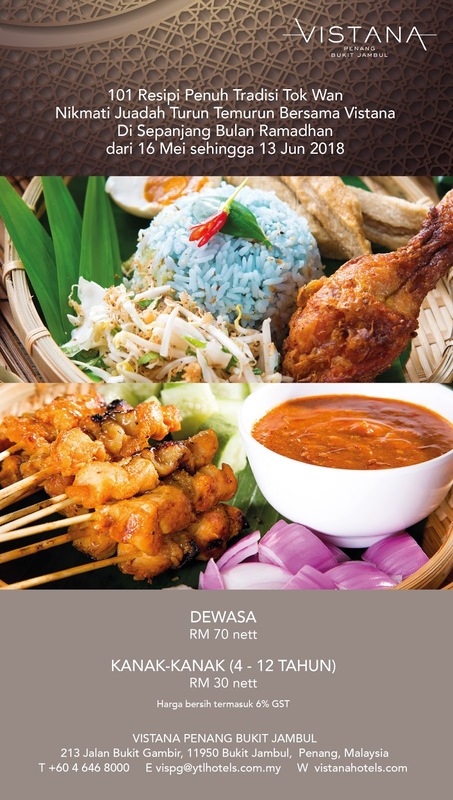 The Chinese-style Nasi Ayam (chicken rice) should not be passed over too. 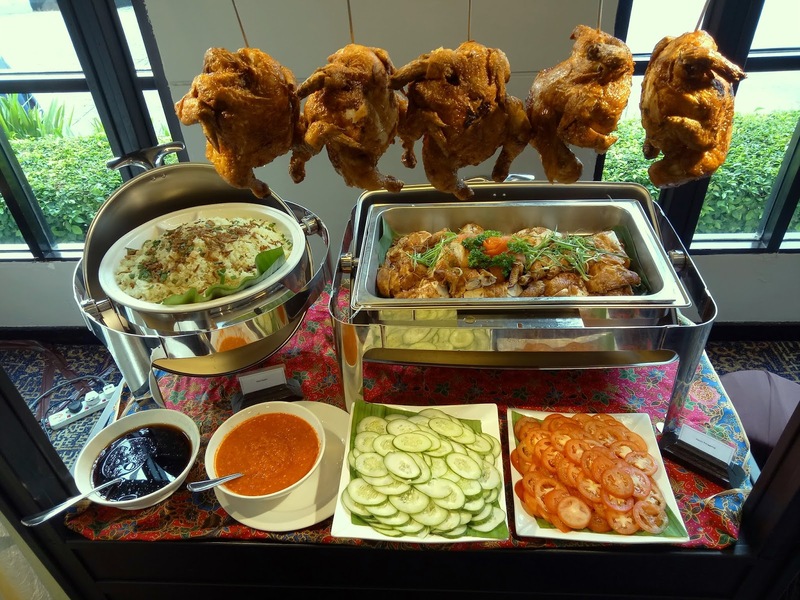 The roasted chicken pairs well with aromatic rice, which is cooked with chicken broth so that it becomes somewhat flavorful. 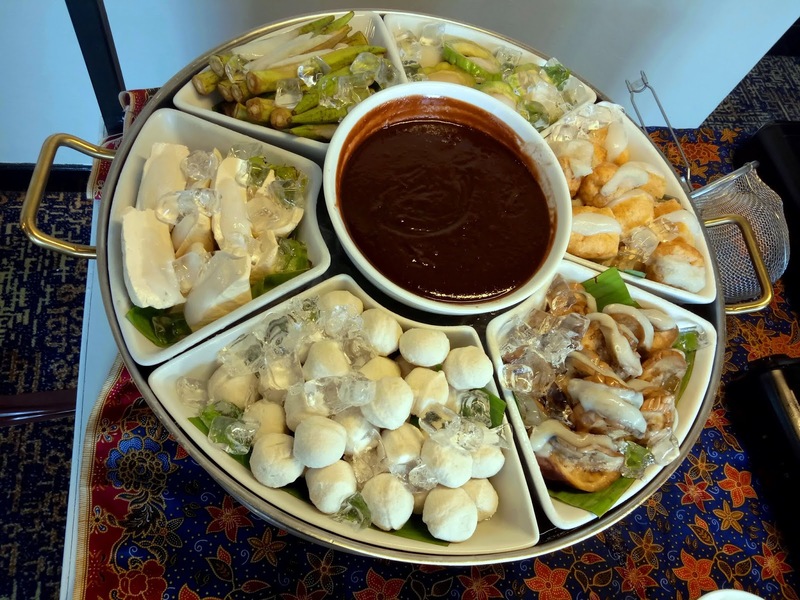 Yong Tau Foo (酿豆腐) makes its debut at Vistana this year. This Hakka dish uses a variety of ingredients stuffed with succulent fish paste. 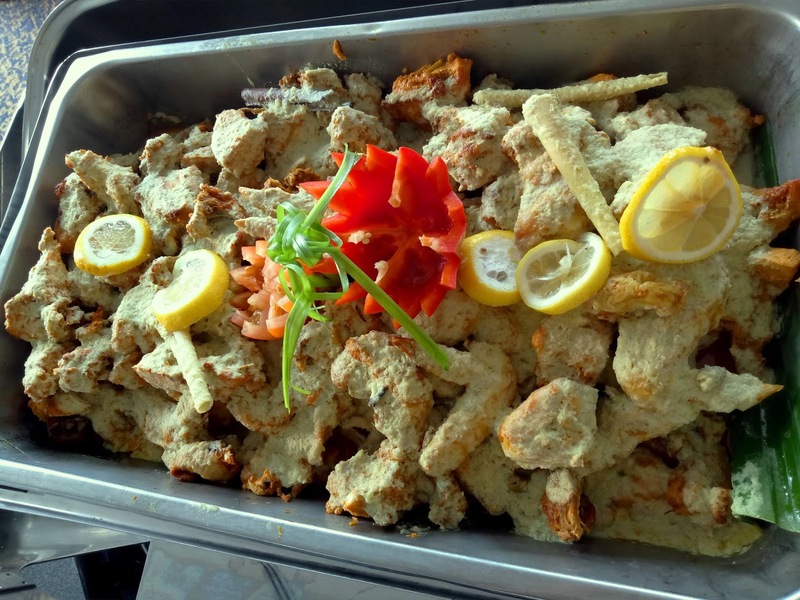 Examples of such ingredients are okra (lady's fingers), eggplant, bitter gourd, soft tofu and fried tofu. Yong Tau Foo can be enjoyed with soup or with sweet sauce. Vistana's wide assortment of traditional Malay kuih never fails to impress me. 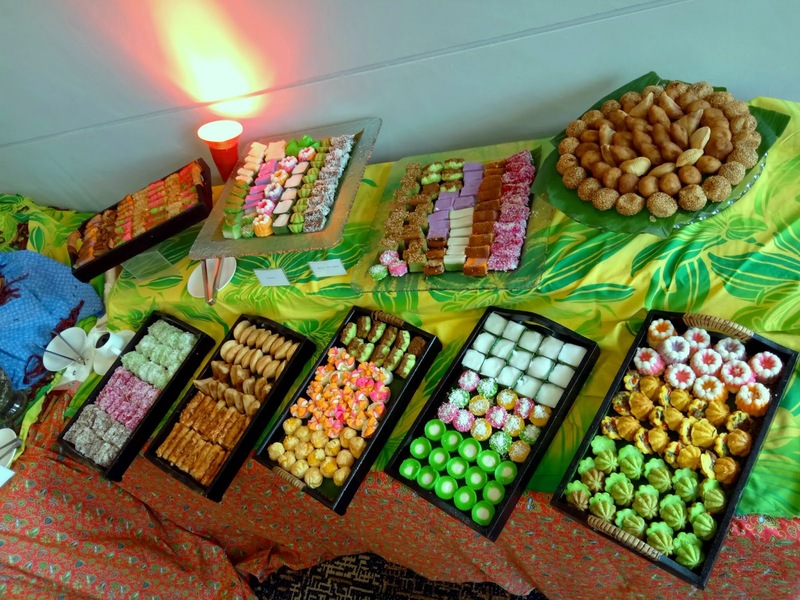 Malay kuih can be categorized into sweet and savory types. Examples of the former are seri muka, puteri ayu and kuih sagu. On the other hand, savory ones are represented by cucur badak, kuih cara berlauk and popiah bercili. Vistana's Ramadan buffet dinner is held from 16 May 2018 to 13 June 2018. The buffet is priced at RM70.00 net for adults, and RM30.00 net for children between ages of 4 and 12. 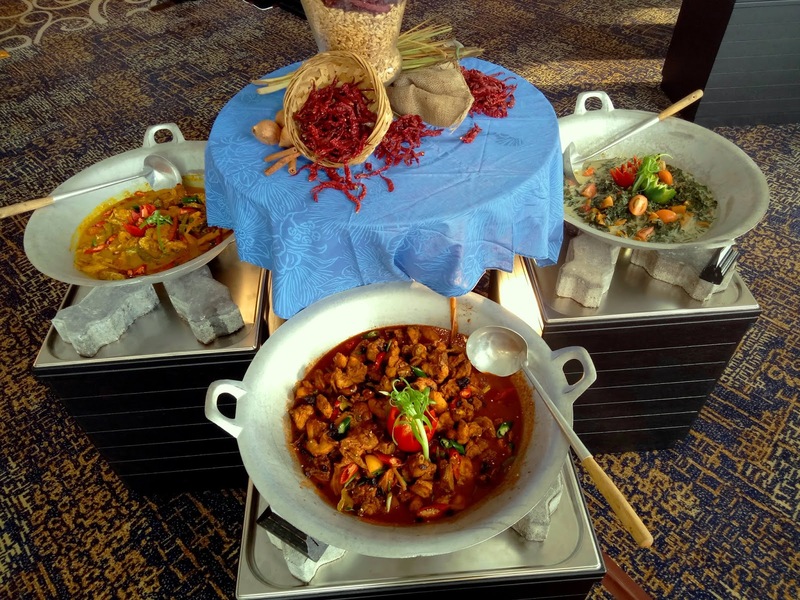 During each evening, the atmosphere is kept lively by a band which plays traditional Malay musical instruments.